Richard is a long-time musician, with a recording career dating back to 1997. He came to me looking for assistance to bring his site design and functionality into the present time. His shopping cart was too voluminous and unorganized for site visitors to find his most recent CD's to purchase. He also had a new custom music offering that needed to be showcased. His ongoing daily music posts as well as upcoming events also needed to be seen easily. 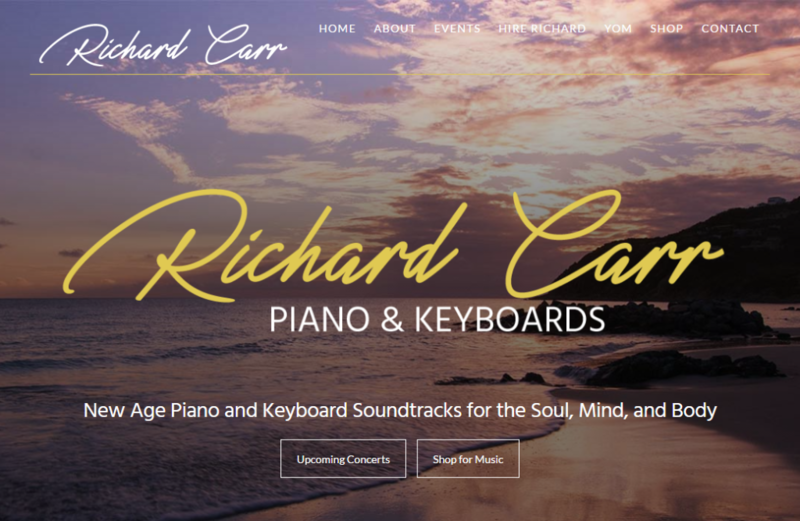 We worked together to create a site that brings the feel of Richard's musical style and home base of Monterey Bay, CA into each page visited. His new eCommerce solution makes it simple for clients to choose CD or digital downloads from the same product screen, with CD details and links to reviews available from one place.